All of our prints and paintings are guaranteed to be genuine and in good condition. Flaws or faults must be presented to our attention within 10 days of purchase for a refund. Collector discounts are available! 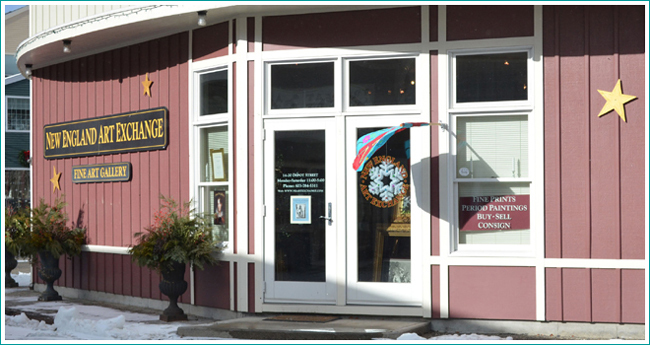 New England Art Exchange is an art gallery selling period paintings and fine prints encompassing the works of American, European and Asian artists. The founder and owner of New England Art Exchange is Ken Spector. We specialize in works from the 18th century up to the 1950’s. We buy and sell original works and represent consignors from around the world. 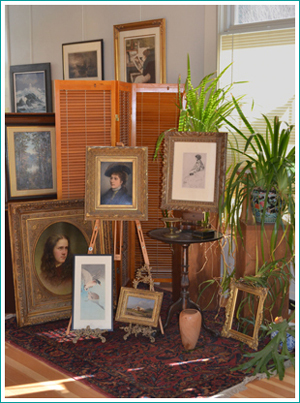 Our Keene, NH gallery was first open to the public in 1989, and in 2014 we moved to Peterborough, NH. Our gallery is a registered domain on the web and also a registered business with the State of New Hampshire. Ken Spector Studied Art and Art History earning a B.A.degree from the University of South Florida, in Tampa and later a Master of Fine Arts degree from the University of Montana in 1982. Spector was an instructor of Art at both College and Secondary schools for over 25 years. Apart from searching out new acquisitions Spector also does paper conservation, cleaning and repair of paintings and period picture frames.